Elta MD UV Sport Broad-Spectrum SPF 50 provides a water-resistant, long-lasting sunscreen that can go the distance for extreme outdoor activities. This gentle sunscreen leaves your skin feeling moisturized but not oily, and will not sting your eyes. The zinc oxide protects from UVA and UVB rays that cause photo-aging and burning, and will not leave a white residue on your skin. Paraben-free. I live at the beach. Everyone in my family uses this product. Can surf, play beach volleyball or just sit under an umbrella. It's a must have for your beach bag! Elta is a great line! Provides great non-greasy-feeling protection that will not break you out! Recently tried their post-laser gel--not an SPF, but kudos to the company on that as well! It goes on with a bit of a white look so I was scared I'd be the white, sweaty thing outside. Turns clear after a few minutes and performs great. No tan whatsoever! My wrist is Fitbit tan line free. Used other products from this line and they are excellent! Recurring purchase... used it all summer and it provided great protection! I am outdoors a lot in the summer and use this on my body and face. It stays on well even when you sweat and doesn't sting your eyes. Sometimes feels a bit greasy on my face but I figure good sun protection is worth it. This is my second time buying this. The last bottle lasted a really long. I use it daily on walks and outdoor activities. It's a must when I'm in Hawaii. It's thicker than I prefer but it does its job well. With it on, I know I won't be burned. Great sunscreen! I am outdoors daily cycling or hiking. 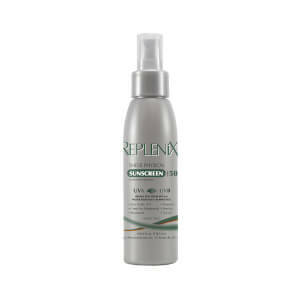 This sunscreen provides ultimate protection, absorbs easily even though it has zinc oxide. It feels more like a light moisturizer without the chalky zinc residue. I use this for any outdoor activity - particularly golfing. It stays on and protects my fair skin. Can't live without this stuff!